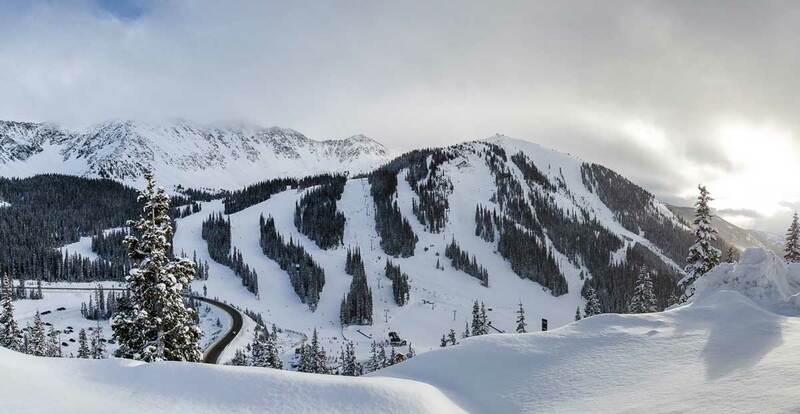 Update - March 6, 2019: Snow has continued to fall across North America into March, with resorts from Colorado through Montana, and down from Canada to the Sierra, 100% open in almost all cases. Spring skiing conditions will be excellent nearly everywhere. Colorado just experienced its strongest storm cycle of the winter, and it continues into the second week of March, laying down powder conditions from Telluride up to Winter Park. This has been one of the best winters in the last 25 years. 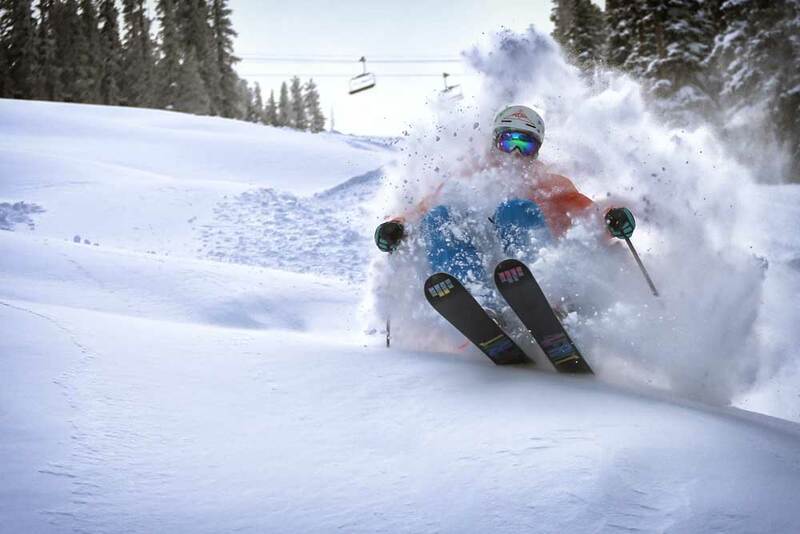 Skiers should get after it this spring as lots of lodging remains, especially during the latter half of March at flagship resorts across Colorado, the Sierra and Utah. Snow has been especially strong in the Rockies, including Jackson Hole and the whole of Colorado, from Steamboat down to Telluride. Spring snow is best preserved at resorts with higher elevations and lots of north-facing terrain. See our individual resort pages for more information on how well a given resort's snow holds up to the sun of mid and late March. In general, March is a wonderful month to ski. It's warm, the sun shines on most days, and, in many cases in the western United States, it's the month that brings the most precipitation. It's also the time when many people have a lengthy chunk of available vacation—which is why March's spring break season is the second most popular time for skiing, ranking just behind the crush that is the week between Christmas and New Year's. If you've perused this site before, you know well that different resorts ski better at different times of the winter. Skiing at Telluride, for instance, improves dramatically as the season wears on, as its high slopes and north faces preserve late season snow very well. But snowpacks at some other resorts, like Steamboat, which have less north-facing terrain and may be lower in elevation, fare better earlier in the season and aren't as ideal for finding cold snow during March. ZRankings has special package rates for spring break ski trips! Everybody wants a spring break ski trip whose days alternate between dumping and bluebird. It's also preferable, of course, if, on those bluebird days, the snow doesn't quickly turn into something resembling a heavy amalgamation of mashed potatoes rather than easy-skiing powder. Every skier knows there are no guarantees when it comes to weather on the mountain, but there are most certainly ski resorts that represent better bets for finding good snow late in the season. In addition to an adequate snowpack, there are two other prime ingredients required for resorts to be March outperformers: favorable aspects, as quantities of north-facing terrain become more and more important as the season goes on; and higher elevations, as an extra 1,000 feet of elevation usually means temperatures about 3 degrees Fahrenheit cooler. The last ingredient, though not necessary if the previous two are present in abundance, is latitude. Mountains that sit farther north will, in general, remain cooler and catch sunlight that's more oblique and less harmful to snow than mountains further south. With these factors in mind, we ran the numbers for March on every one of the 220 resorts in our database, accounting for their aspects, elevation, latitude and snowfall. Much of this raw data can be seen on our ski resorts snow rankings page. We took an average for the whole month of March, which produces different numbers than if we had only examined things for March 1 or March 31. Below are 12 resorts that stood out above everybody else. The snow at Alta is almost always good. In fact, there is not a day during the conventional ski season, from Dec. 1 through mid April, when Alta doesn't hold our highest score for snow. If you look at the snow graph on Alta's ZRankings profile page, you can see that, when compared with other resorts, Alta retains a score of 100 throughout the entire season (right graph). What's even better is that Alta's elite snow quality doesn't suffer much during March because of the mountain's preponderance of north-facing terrain, which comprises 53% of its slopes. Alta not only gets snow in higher quantities than any other resort in the Rockies, but it also efficiently preserves all of that precipitation. 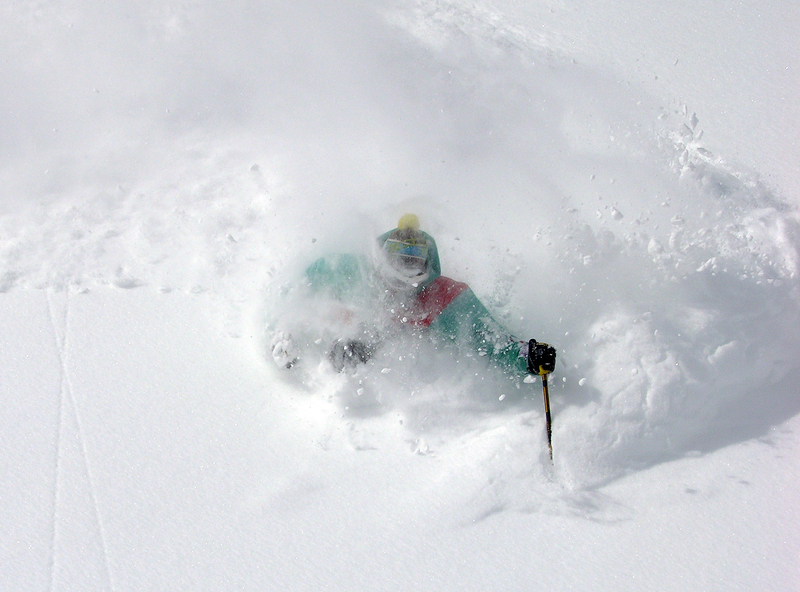 Alta powder goes off in March. What holds for Alta generally holds for Snowbird, as it sits directly next door. But unlike Alta, Snowbird us not at the absolute end of Little Cottonwood Canyon, so it gets about 10% less snow than does Alta, but a similar 50% of Snowbird's slopes face north. If it weren't for Snowbird's backside addition, Mineral Basin, which contains south-facing terrain, the mountain would score even higher than it already does for March. Wolf Creek has the enviable combination of getting the most snow in Colorado of any normal (not Silverton) ski resort, but it also has gobs of terrain facing north: 65% of its slopes. The mountain is also fairly high, with a base of 10,300 feet and a summit of nearly 12,000 feet. So while Wolf Creek is further south than most of the resorts on this list, its other characteristics make it an excellent place to hunt spring dumps that can stay cold for days. This mountain doesn't have a lot of north facing terrain—only 20%—and it's not excessively high, elevation wise, with a summit of 10,000 feet, but Targhee has zero terrain facing East (which gets sun at an increasing rate in the spring), and its western-facing terrain, at 60%, is the next best thing to north-facing slopes. Targhee is also quite far north, nestled into the Teton range in the northwest corner of Wyoming, almost in Montana (and almost in Idaho). Most importantly, the resort gets more snow than any other resort in the Rockies other than Alta, so it's always a strong candidate for those seeking powder skiing, even in March. Perhaps no other ski resort's snow profile rises so steeply as the season wears on as that of Arapahoe Basin. The place gets an average amount of snow for Colorado, so it's not a spectacular performer for snow quantity as are the resorts mentioned above, but its other characteristics make it an ideal place to stalk cold spring snow. A-Basin possesses the two things that matter most, other than snow quantity: elevation and slope aspect. The resort's base sits at 10,780 feet and its peak is all the way up at 12,472 feet. And a full 55% of its terrain faces north. This combination means that skiers can find the goods all March long. A-Basin's snow curve climbs more steeply as the season progresses than any other resort. A-Basin is the place to be in March. Where Alta scores well, usually Brighton will show up somewhere on the same list. No exception here. Although it's located one canyon to the north of Alta and Snowbird, Brighton enjoys much of the same kind of snow profile, as it captures copious amounts of snow from systems traveling east across Utah, giving it the third largest snow total of any resort in the Rockies. It also has a high percentage of its terrain facing north at 43%. Winter Park sits off by itself, north of Berthoud Pass, in a spot that's favorable for spring skiing conditions. Winter Park tops out at an elevation around 12,000 feet, and it gets more than average snowfall for Colorado at 349 inches annually. Just as important, 50% of Winter Park's terrain faces north, keeping things nice and frosty for you. The Sierra's first representative on this list, Kirkwood has all of the characteristics of a March champion: it receives the most snowfall in the Lake Tahoe region, and its elevation is also higher for the Tahoe area—although lower than mountains with similar latitudes in Colorado and Utah. Just as important, an impressive 65% of Kirkwood's terrain faces to the north. Like the relationship between Alta and Snowbird one canyon to the south, Solitude receives about 10-15% less snow than its neighbor to the East, Brighton—but that still means it receives the fifth highest average snow total in the Rockies. Just as important when it comes to March, 55% of Solitude's terrain faces to the colder north. The most luxurious of the central Colorado stalwart resorts is also one of the best places to ski in March. Beaver Creek has a favorable elevation, with its summit topping out at 11,440 feet, and a whopping 55% of its terrain faces north, keeping those March dumps nice and chilly. The Beav also benefits from slightly above-average snowfall for Colorado, thanks to its position West of Vail pass. Being on the wrong side of Vail pass—east—and in Summit County holds Copper Mountain's snow totals to slightly below average for Colorado. But the mountain enjoys an excessively high elevation—its base is 9,712 feet and it tops out at 12,313 feet—plus it has an abundance of north facing terrain: 55% of its slopes. So as the season goes on, snow piles up and stays preserved on Copper's high and shaded slopes. Skiing Copper in March can pay off. Our second California representative, Mammoth possesses something that most Sierra resorts don't: a relatively high elevation. With a base of nearly 8,000 feet and a summit above 11,000 feet, Mammoth sits nearly 1,700 feet above Squaw Valley, which is at a similar latitude. Mammoth's annual snowfall of 350 inches is rather average for the Sierra, although, as with all West Coast mountains, it's a volatile average with a high standard deviation. That said, Mammoth has one of the highest percentages of north-facing terrain in North America at 65%—perfect for preserving snowstorms in late March. Also see: Best Places to Ski In January. Christopher Steiner is the founder of ZRankings and a New York Times Bestselling author of two books. Find him on Twitter here. ZRankings has special rates for Spring Break ski trips! All data, design, scores © 2017 ZRankings LLC.